Pools are now open, so it’s time to gear up for some pool fun! Getting your kids off the couch and away from the controllers will be a breeze with our awesome SwimWays pool toys and floats! Take a look at these exciting products- most of which are brand new for 2018! Our Eaten Alive pool float line (available as a shark or crocodile) is bound to be a blast for you and your friends! Take entertaining selfies for Instagram or Snapchat with these inflatable carnivorous creatures! Get #EatenAlive this summer and shop here! While similar to the original SwimWays Spring Float, the new Spring Float SunCatcher also comes with cup holders! Let the hammock-style float cradle you slightly below the surface for a relaxing, cooling afternoon in the sun! Relax with the #SpringFloat SunCatcher and shop here! Relax while having the ability to chat with your friends in the Spring Float Sol Seat! This float is great for making conversation or keeping an eye on the kids as it helps you sit up comfortably with it’s cushy mesh seats and head rest! Then, pack it away in the included carry bag for great portability. Relax with the #SpringFloat Sol Seat: shop here! Don’t forget about our Baby Spring Float Activity Center with Canopy (left) or Baby Spring Float Animal Friends (right)! Your little ones will have a blast splashing around in the pool with these interactive play floats! The Activity Center with Canopy comes with an octopus or lobster and includes a squeaker fish, stacking rings, fish teether, and a soft touch star or shell! The Activity Center float is also part of our Swimways Swim Steps 1 program! Animal friends comes with a unicorn or dragon, and the inflatable head rotates 360 degrees! 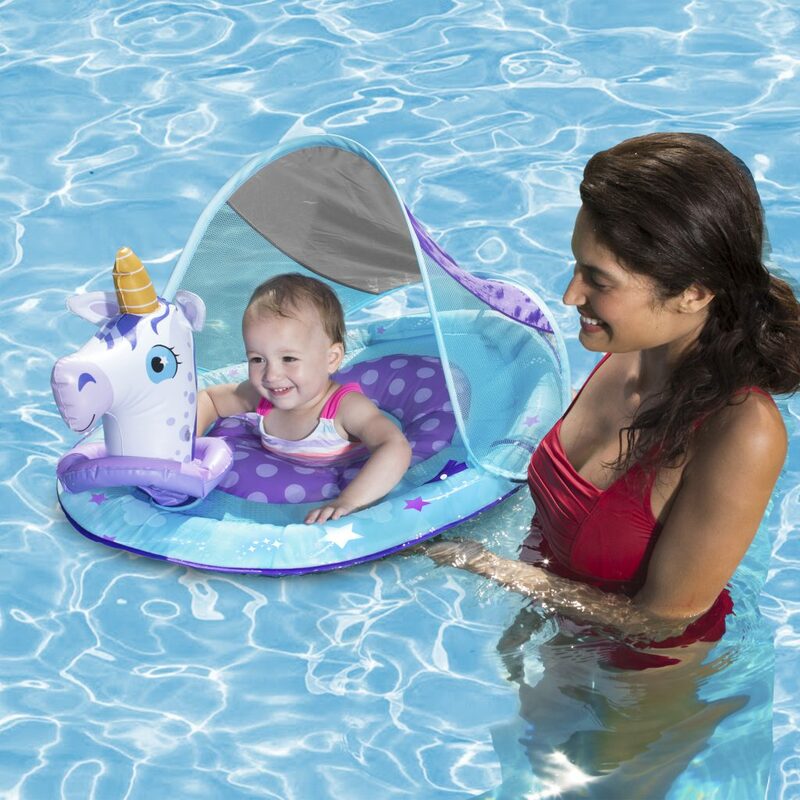 Enjoy watching your infant experience the water with the Infant Baby Spring Float with Sun Canopy! This float includes an adjustable 3-point harness, built-in handles for mom to hold onto, and a removable/adjustable UPF 50+ sun protection canopy! 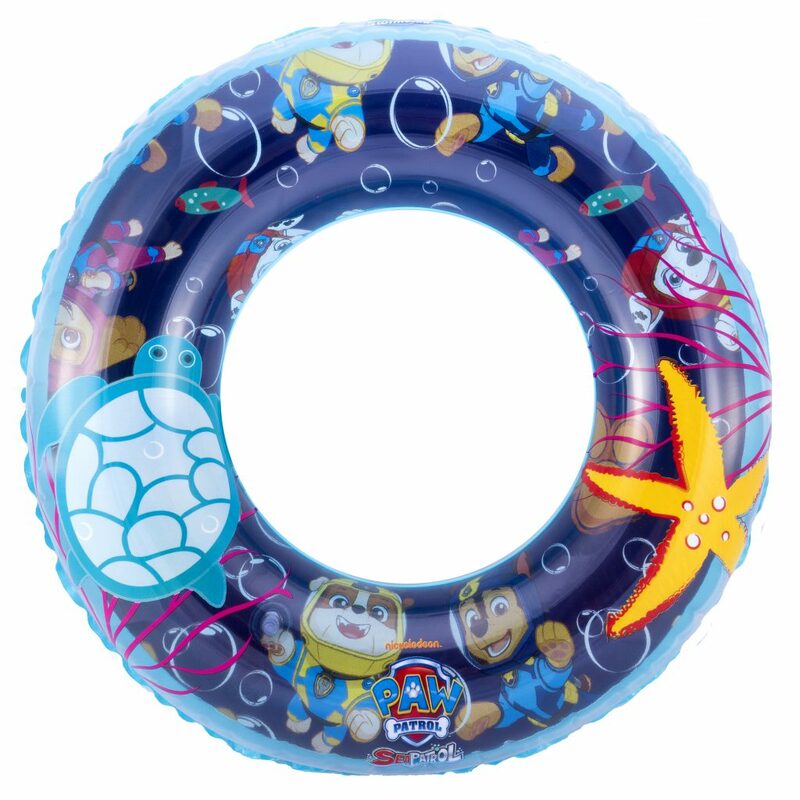 Let your baby experience the water with #BabySpringFloat and shop here! 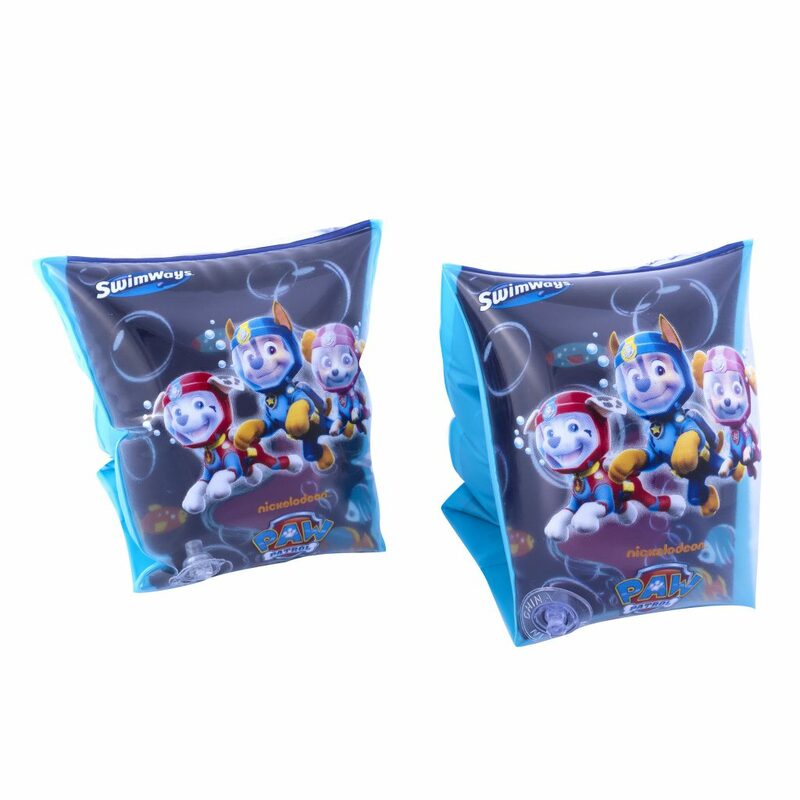 The kids will have a blast with this new water-activated transforming pool toy! 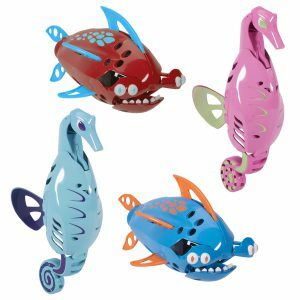 Place the pods in the water and they’ll watch in amazement as they turn into these amazing sea creatures (sharks and seahorses)! 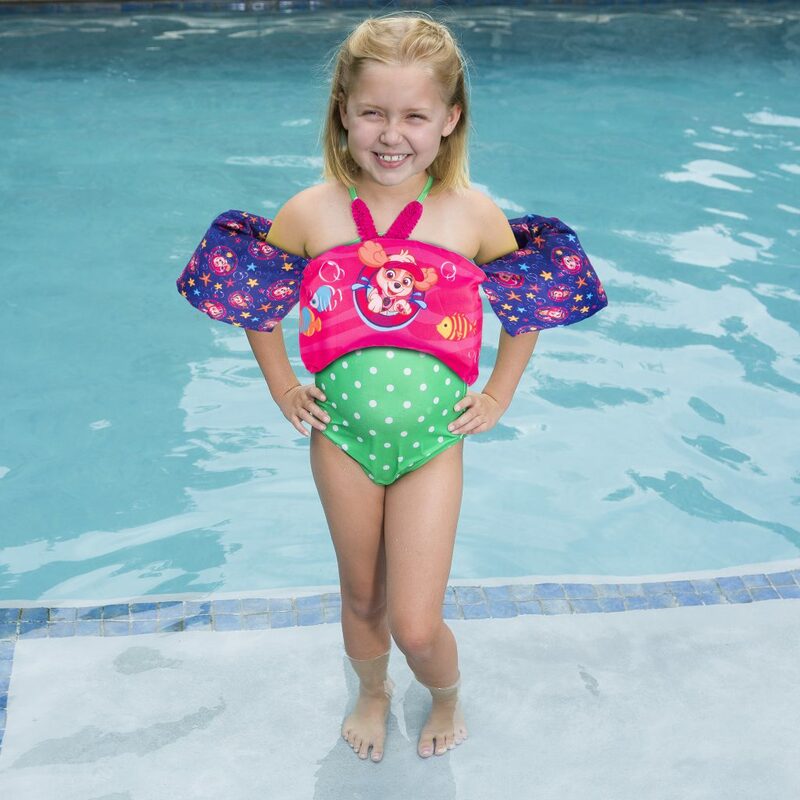 Transform your kids summer with Aqualiens: Shop here! 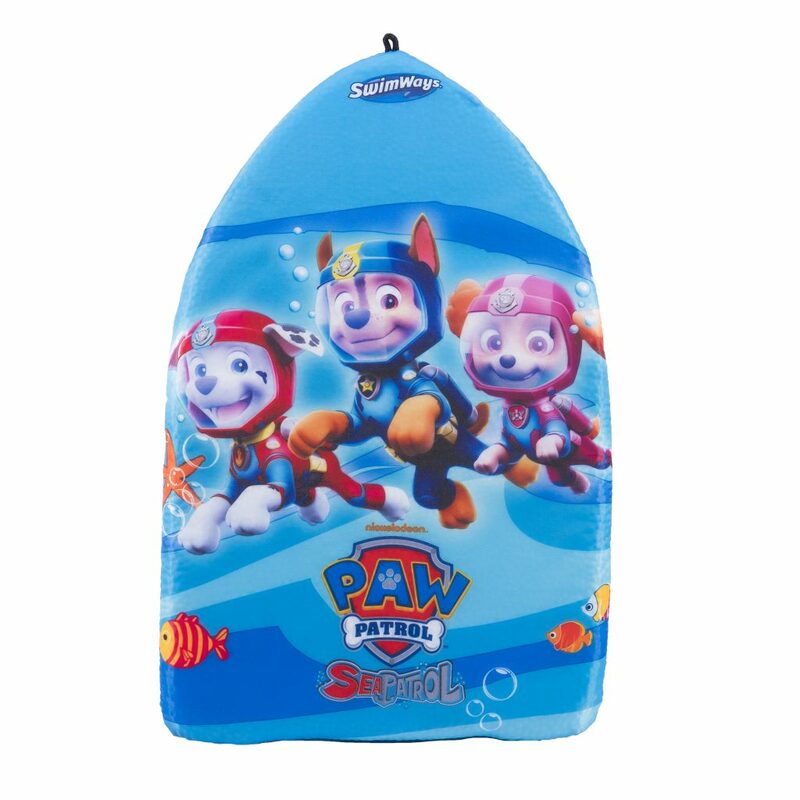 Chase and Skye can join in on the pool fun with these all new Paw Patrol swim gear and toys! 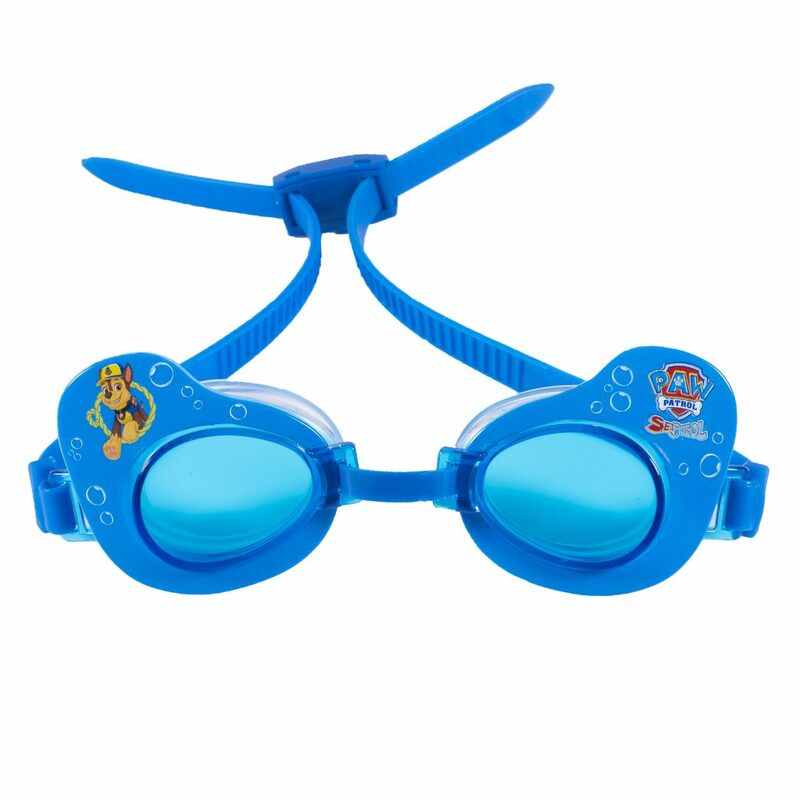 We’ve got everything your kids need to be decked out in all things Paw Patrol for the pool! 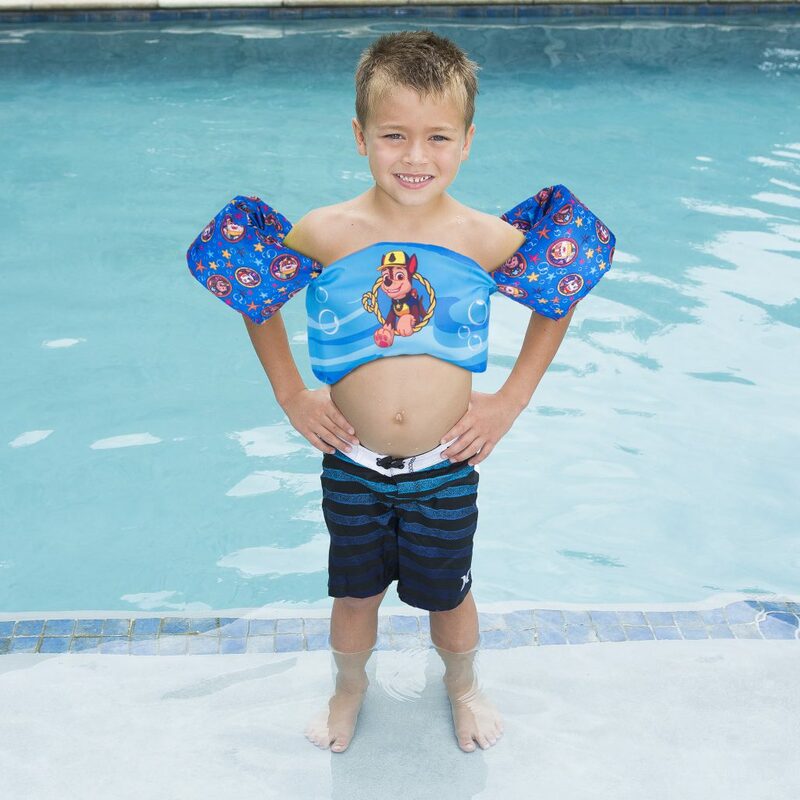 Your little ones can wear Paw Patrol 3-D Swimmies or the ( U.S. Coast Guard approved PDF) Swim Trainer Life Jacket as they play in the water. 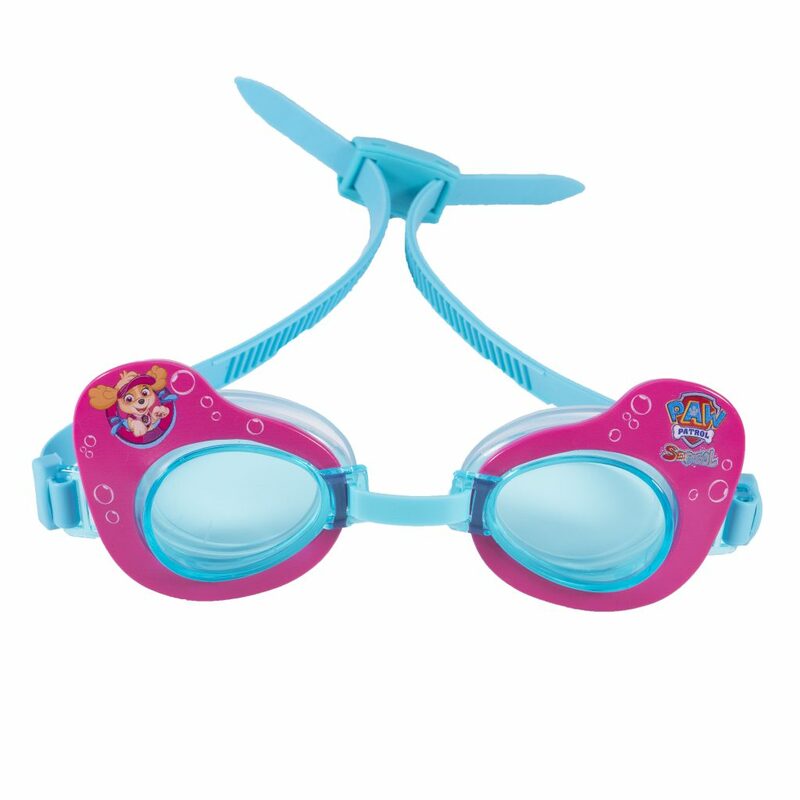 They can float around in the 3-D Swim Ring while the wind-up Paddlin Pups swim along beside! 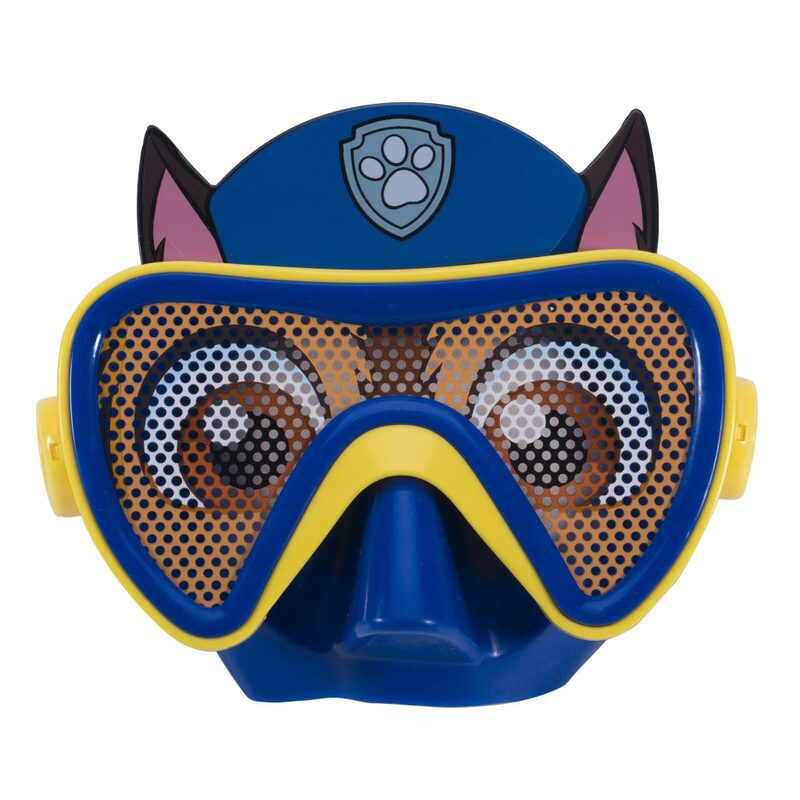 Or they’ll splash around and practice swim techniques with the Paw Patrol Kickboard and while the Paw Patrol Swim Googles or Character Masks keep the water out of their eyes! 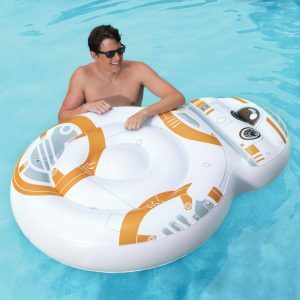 Show your Star Wars fandom with our brand new BB-8 float! You can take some great, shareable pictures with your friends and family, and BB-8! Bring your pool experience to a whole new galaxy (far far away) and shop here! 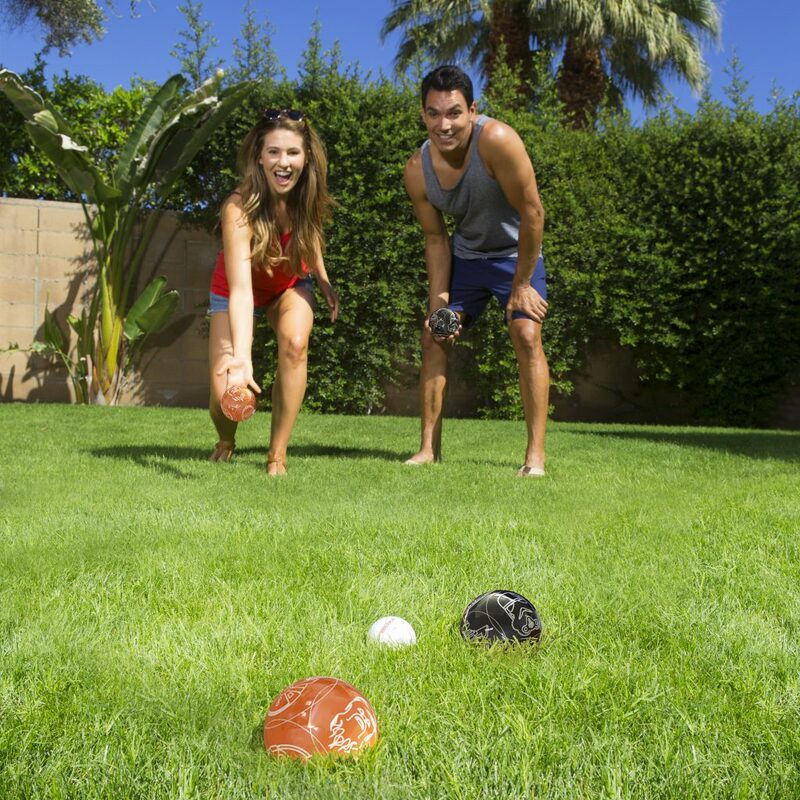 These awesome backyard games just became even MORE fun! 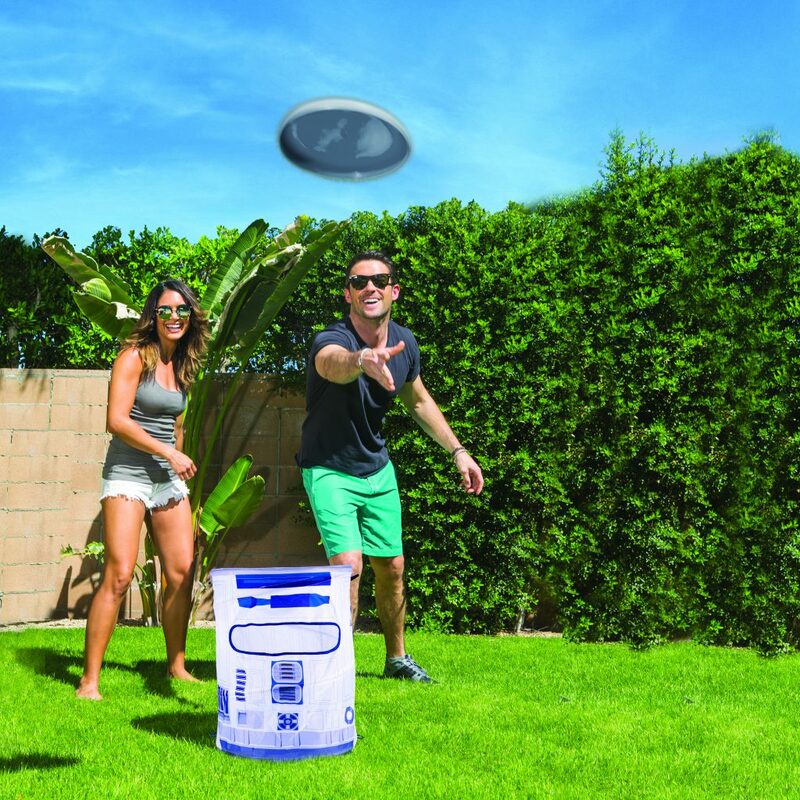 Bring your family and friends together with Bocce Ball, Bean Bag Toss, OR Spring Slam- all with designs including the faces of your favorite Star Wars characters! Bean bags are filled with pellets for critter and weather resistance. This also helps keep the bags from loosing weight over time. Sit back and relax this summer in the new Kelsyus Backpack Beach Canopy Chair! This chair is great for relaxing at the beach, enjoying an outdoor concert, or hanging out with friends at a BBQ! 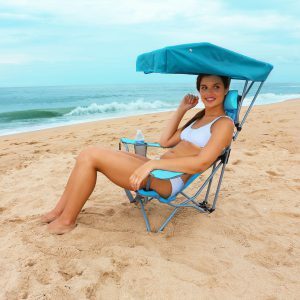 It’s got cup holders, a mesh seat, an adjustable headrest, and a 50 UPF sun protection canopy! Also, the canopy folds down into a bag that’s easy to carry! Sit back and relax this summer in the Kelsyus Backpack Beach Canopy Chair: Shop here! Bring lacrosse to the water! 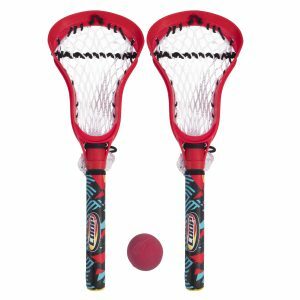 This is a great opportunity for young children, who aren’t ready to play with the larger lacrosse sticks, to learn the game- with the bonus of playing it in the water! 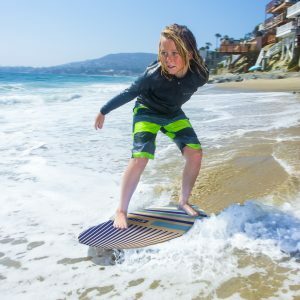 The COOP Super Skim now comes in a variety of vintage beach styles! Offering both quality AND style, these boards are made a with multi-layered cross laminate core with resin coating to help with longevity and better performance. It also comes with a traditional rocker design to help avoid nose digging. Ride into summer and shop here! New designs are also available for the Super Pipe 41″! This durable, lightweight board includes a swim leash. For intermediate or advanced riders who are 5′ – 6′ 2″ and weigh 120-190 lbs.